National Flag Day falls on June 14, and it centers around flying the American flag and remembering its significance throughout history. 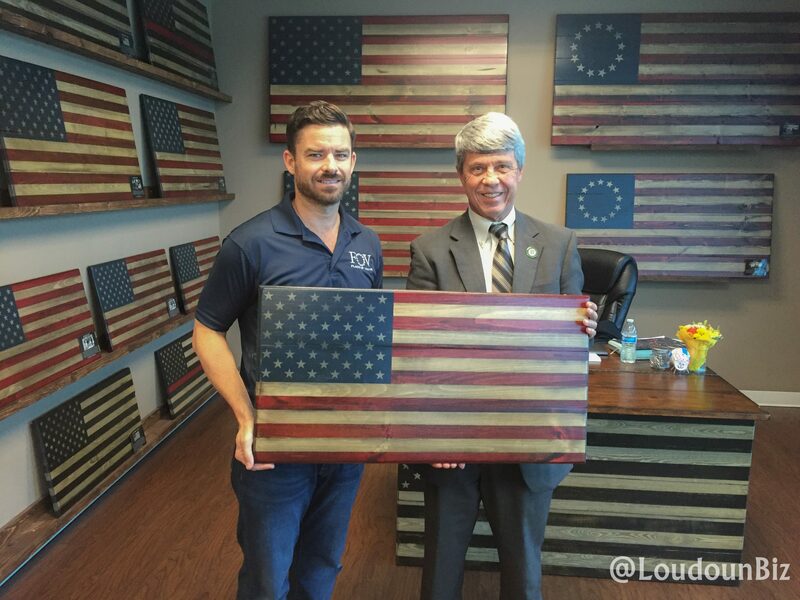 That message resonates strongly with Flags of Valor, a veteran-owned, veteran-operated and veteran-made company in Ashburn, Virginia. The business was established by retired Air Force Major Brian Steorts, who returned home from Afghanistan in 2013 with a spinal injury. During rehabilitation, he realized he missed wearing the American flag on his uniform. He found his passion in woodworking, gradually developing into a master craftsman. He brought on additional combat veterans as employees, raising money for veteran and first-responder charities, and growing his business in Loudoun County.